While the cells are rare, making up only 1 to 2 percent of cells that line the airways, they seem to play an outsized role in keeping lungs clear. The identification of the ionocyte "provides key information for targeting treatments," says medical geneticist Garry Cutting of Johns Hopkins School of Medicine in Baltimore, who was not involved in the research. Two teams, working independently, each describe the new cell online August 1 in Nature. The ionocyte shares its name with similar cells found in fish gills and frog skin. This type of cell regulates fluid movement at surfaces - skin, gills, airways - where air and water meet. In people, special proteins that tunnel across cell membranes lining the airways allow chloride ions (half of what makes salt) to move into the airway. This causes water to move into the airway through a different channel to moisten mucus along the lining, which helps it remove bacteria and inhaled particles from the body. The tunnel protein that allows chloride ions through is made by a gene called CFTR. In cystic fibrosis patients, that gene is flawed. Airways can't regulate water movement properly and get clogged with thick mucus that traps bacteria and leads to persistent infections and lung damage. The genetic disease affects at least 70,000 people worldwide, according to the Cystic Fibrosis Foundation in Bethesda, Md. Researchers had suspected CFTR was most active in ciliated cells - cells with brushlike projections that work along with the mucus in airways to move invaders out. But the new work found very little gene activity in those cells, compared with the ionocytes. In experiments with laboratory samples of mouse cells from the airway lining, cell biologist Jayaraj Rajagopal of Massachusetts General Hospital in Boston and his colleagues found that the gene was very active in ionocytes: out of all the instructions for building the tunnels detected in the cells, 54 percent came from ionocytes. Aron Jaffe, a respiratory disease researcher at Novartis Institutes for Biomedical Research in Cambridge, Mass., and his colleagues reported that, in laboratory samples of human airways cells, ionocytes were the source of 60 percent of the activity of the tunnels. The discovery of the new cells raises a lot of questions. 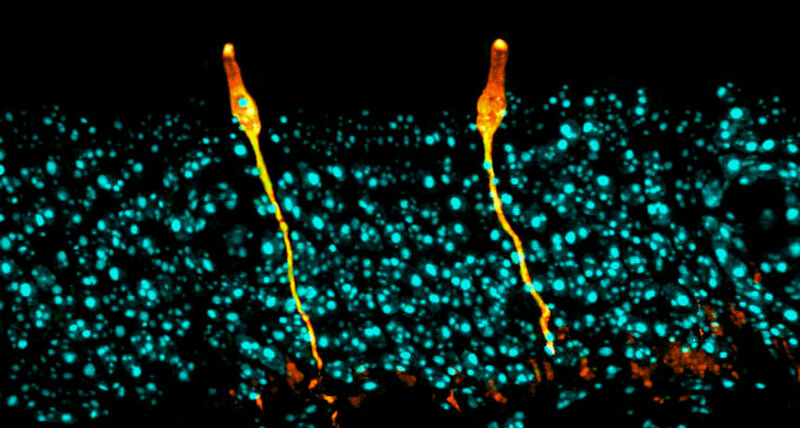 Jaffe wonders where ionocytes are positioned in the lining of the airways, and how that placement supports the coordination of water movement and mucus secretion by other cells. "You can imagine the distribution [of ionocytes] is really important," he says. A question Rajagopal has: "How does a rare cell type do all of this work?" In fish and frogs, ionocytes are loaded with mitochondria, the so-called cellular energy factories, he notes. Maybe that will be true for human ionocytes, too, giving them lots of energy to do the lion’s share of regulating the movement of water. Both researchers say the ionocyte's discovery should lead to a better understanding of cystic fibrosis. "It will let us think about creative new ways to approach the disease," Rajagopal says.